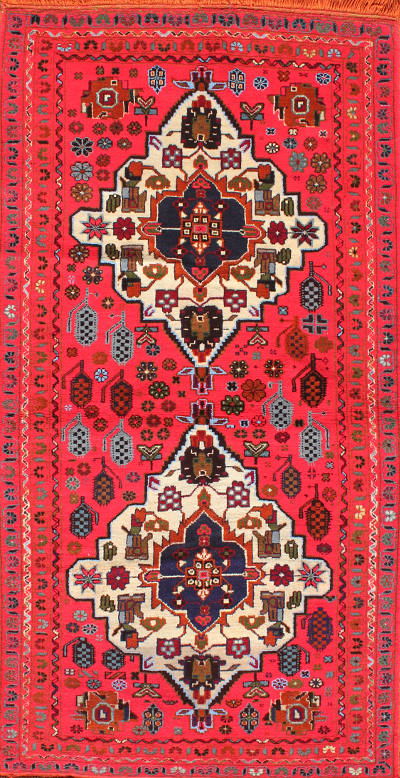 Symposium:"Sept. 20 symposium to discuss war rugs 09/14/2007 A War Rug Symposium will be held at 7 p.m. Thursday, Sept. 20, in room 100 art building. 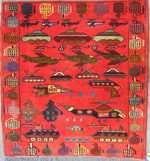 The event is part of programming for the Miami University Art Museum exhibition, "Tanks, Helicopters, Guns and Grenades: the Afghan War Rugs of the 1980s-2007." 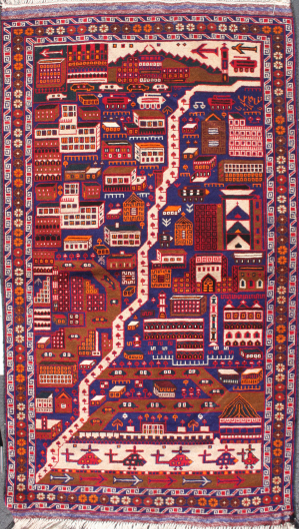 Keynote speaker for the symposium is Christopher Kremmer, author of The Carpet Wars: From Kabul to Baghdad. 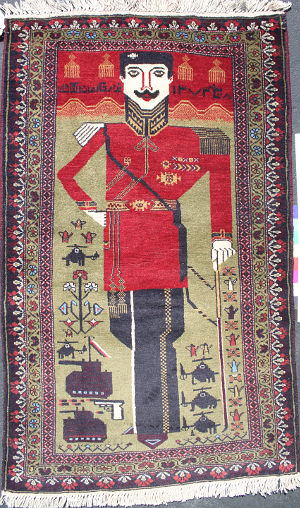 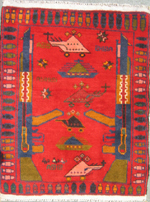 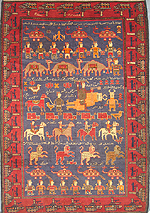 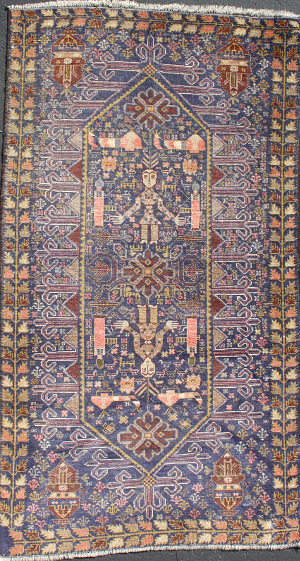 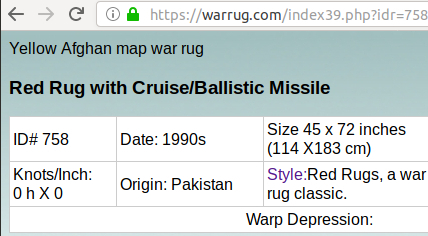 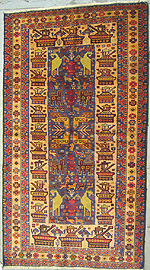 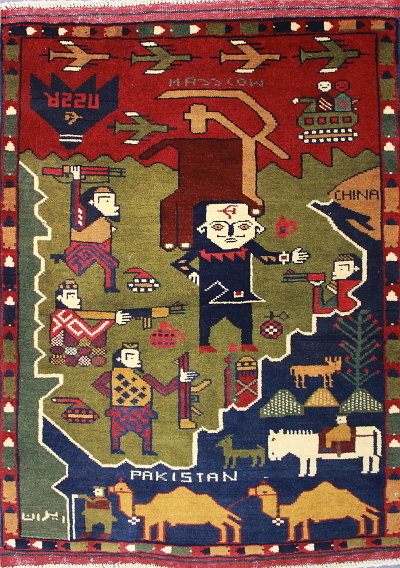 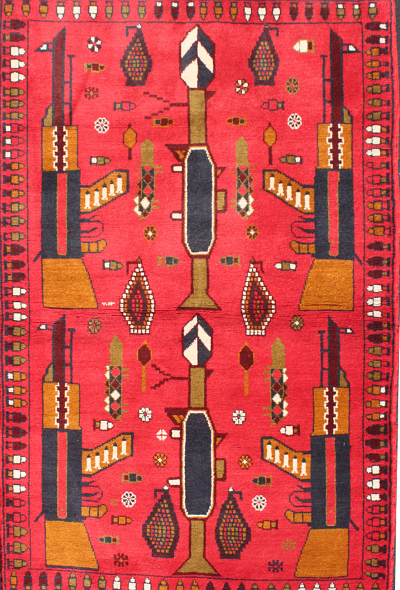 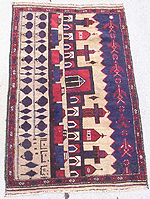 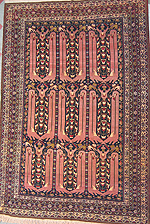 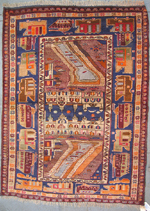 The book looks at the history of wars and occupations in Afghanistan, Iran, Iraq, India, Pakistan and former Soviet "stans"; the rug industry and the role of war rugs during periods of conflict; and the cultural impact on the people of the region. 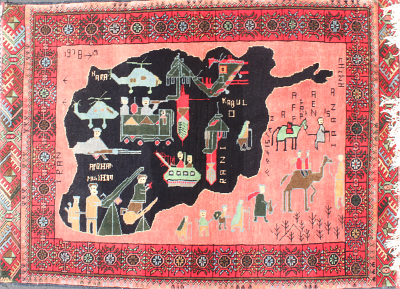 Additional panelists include: Ariel Zeitlin Cooke, editor of Weavings of War: Fabrics of Memory; Thomas E. Gouttierre, director, Center for Afghanistan Studies, University of Nebraska, Omaha; and Miami faculty Homayun Sidky, anthropology and Daniel Prior, history. "